When Madison makes a startling discovery;the body of a dead woman floating in the middle of a lake;the summer after her senior year becomes more complicated than she ever expected. Madison (Mads to everyone who knows her) is staying with her aunt and uncle in Seattle after graduating from high school. Being away from her needy, unstable mother who's been pressuring her to take over the family business is such a relief. Now all Mads has to worry about is taking classes, swimming laps, and fighting off the sadness that threatens to overtake her. That is, until the traumatic moment Mads collides with a body in the middle of the lake. After swimming the body back to shore, Mads becomes obsessed with uncovering the identity of the woman and what drove her to leap off of the Aurora Bridge. Determined to discover more, Mads parks outside the woman's home and sees the woman's son: the sweet and tormented Billy Youngwolf Floyd. Through a series of not-so-happenstance meetings, Mads and Billy realize that desperate mothers and rescue missions are not the only thing that bonds them. Billy carries a map in his pocket, the one of the museum from The Mixed-Up Files of Mrs. Basil E. Frankweiler; and it's his dream to visit the museum one day. And though book-loving Mads is expected to return home to her already-decided future, her dream is to run away to a life of her choosing. As the unlikely pair fall hard for each other and as the summer draws to a close, Billy and Mads must decide whose story to follow: their family's or their own. 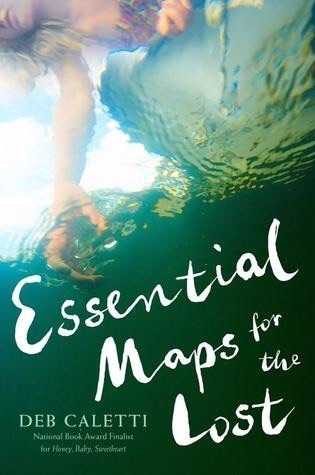 First off let me say thank you to Simon and Schuster Canada for sending me an ARC copy of Essential Maps for the Lost! It would have been so much nicer if I actually got the chance to red it before it's release day, but I am still happy to have read the book for sure! When I started reading this book, it totally went off strong! I mean right off the bat, you dive into what is happening for both Mads and Billy. After that, it seemed to slow down a bit, going into detail for some things that I don't think needed much detail. I do wish that there was definitely more talk towards the two more than there was. I think if you read this, you'll understand the type of talk I am referring to. I just found that they were mostly trying to avoid the inevitable, and really didn't communicate as much as they should have been. I mean I was really getting annoyed with some of the moments wondering what was going on with both characters (in a good way) and just wanted to shake them silly, and get them back on the right track! No moving on towards the more amazing parts! Since it is a really deep story, and discusses all kinds of mental health, I think that Deb Caletti did a great job with it. She wrote more on the view of the person and what is going on in their minds during these moments, rather than the views of someone who is on the outside of it all. I honestly could connect with their thoughts sometimes, and could relate a little bit when it got to the serious parts of the novel. I do wish that there was more I could connect to, but I could actually feel the pain and loss and raw emotion coming from Mads and Billy. Reading from the perspective of Billy, I really got to understand how he was dealing with everything going on in his life. I really liked learning more about him throughout the novel, as you kind of uncover this hidden gem that he hides. There were definitely moments where I found it to be a little too on the emotional side for him, as there was a lot of talk about crying and always breaking down. Now that can honestly happen, but I sometimes felt like it almost became unrealistic between the two of them. I definitely cannot imagine how Billy felt, and don't know how I would be able to stay as strong with a disaster like that. Clearly reading this, you can tell that there is a connection. There is also a lot of pain that they both face, in different aspects. I found myself a lot, comparing myself to Mads with her life and tying to figure out if everything is as she wants. Trying to make others happy is her thing, and both Mads and Billy have a huge heart, which made a lot of scenes really cute! Taking a little step to the left, can we just talk about three things. Those Dogs, Harrison, and Ivy. Although it would probably be really sketchy and Illegal to do in real life, I think that what Billy was doing with the dogs was actually amazing! To be able to do what he did, and for ALL the right reasons, made me totally fall in love with him! Putting his very emotional state aside, he is actually so badass! And Harrison! Wow he is just something else! I actually thought he was totally funny, and always had like one-liners coming from every direction! Always the snoop, and probably that younger brother type that you totally cannot stand, but he really made me laugh at times! Baby Ivy! She is so adorable! I really loved how Mads was with her. I think that it really made Mads more personable with me, just because she pretty much was the only one who truly cared for Ivy, and even though it was a little hard to read how awful some people were (for pets, or other humans) you could see some light to it all. Alright, so from this novel, there were totally some great quotes that got to me. Really personal and definitely hit the nail on the head, capturing the novel perfectly! "Your grief belongs to you and you alone." "Blood may be thicker than water, but what do you want when you're thirsty?" "Actually, as far as punctuation marks go, she feels more like a dot dot dot. An endless ellipsis, pointlessly waiting for something that will never come." Overall, I really am mixed about this book. 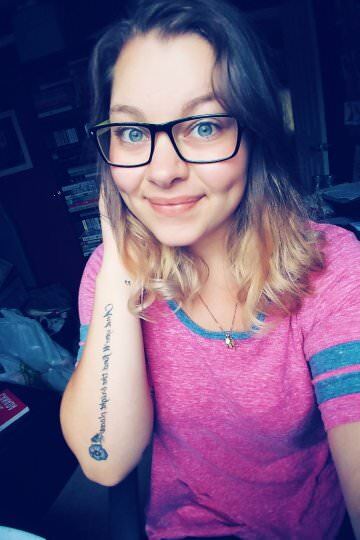 There were definitely raw and emotional aspects that I felt to be amazing, and really dove into aspects of mental health that no one really wants to talk about. Then I kind of got a bad vibe, and found that sometimes the characters were a little too unrealistic with things that were happening, and found that they sometimes weren't true to their age. If it wasn't discussed, then I would have thought that they were freshman in High School. There were some slow parts that were often hard to get through, but then right on the other side there would be another little snippet of disaster that would keep me reading! I would say that you should give this novel a try, because I know we all have our own views on novels, and this may be the book that really hits home, or it might not! After reading this book, I can say that it hasn't changed my views on reading more books by Deb Caletti. I will still read her books, because I fin she has a unique writing style that really does work! That's all for my review of Essential Maps for the Lost! I hope you did enjoy it!